When conducting data analysis, prior to working with Birst, Citrix had to deal with a huge amount of time-consuming, cumbersome tasks. Back then, they had to compile data on hundreds of different spreadsheets about quality, reliability and on-time delivery, etc. and wrangled all these spreadsheets for analysis took the employees forever to finish. By the time they had them all connected, the data was already out of date. So, what people in Citrix really wanted was an aggregator of all the data. According to Fred Tiso, Citrix’s vice president who’s responsible for global hardware, software and service supply chains, when Citrix was in the non-stop suffering struggle with processing data, Birst people came to visit him on a Thursday, and he gave them 150 spreadsheets. After that, they came back on a Tuesday with a model that worked. That was the moment when Tiso found what his business was really looking for. The key differentiators that make Birst cloud BI shines were the ease of implementation, ease of maintenance, and data model manipulation. One of Birst technology’s advantages is the speed of deployment. The implementation of Birst for Citrix has been literally “a watershed event” and Birst is the single source of truth for all of Citrix’s operational data. “Birst was a game-changer for us. We went live in less than 90 days with very limited involvement from IT and plan to have 2000 users up and running shortly, said Fred Tiso. Citrix basically has close to 700 users on the whole system and need only one person to maintain the entire application. Birst has a complete turnkey, supply chain, optimisation portal for Citrix. It aggregates data from Salesforce, SAP and all the contract manufacturers of Citrix. It pulls data from the vantage system, even pulls exactly what’s happening in the motherboard supplier in China. In his early days at Citrix, Fred Tiso planned to design a global digital supply chain to improve customer satisfaction, gross profit and inventory. With more than 130,000 customers, 120 suppliers, three-month product life cycles and less than two-day delivery times, agility on hundreds of different systems is a big deal. With Birst, Citrix now has a real-time global visibility (updated every 7 minutes). Tiso's team can quickly digitise the whole supply chain, get detailed information about sales forecasts, pre-orders, un-solved orders, shipments, inventory, product reliability, and more. Birst allows Tiso's team to have self-service access to order fulfilment information to make informed decisions about what to ship, to what place and in what time. This digital supply chain enables Citrix to overtake its competitors and achieve top inventory turns and 99% on-time delivery. From there, visibility across the ecosystem allows consistent data collaboration. Real-time data monitoring of metrics means that decision makers can adjust and even anticipate changes in demands, plan for unique scenarios, and execute when they know how the impact of their decisions makes the change across the value chain consistently. 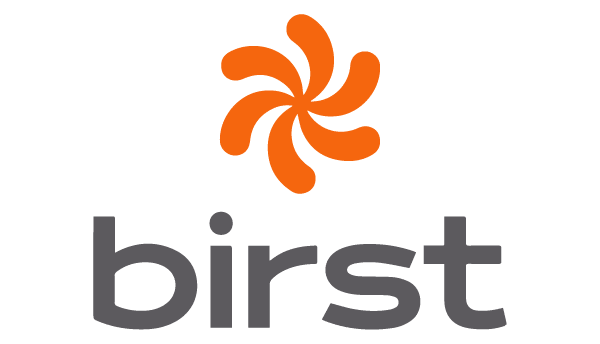 Citrix is a SaaS cloud computing enterprise, so Birst's modern cloud platform makes it a natural and perfect fit. Citrix Systems is a multinational software company founded in 1989 with the goal of virtualising applications, particularly focused on mobile workstyles for more than 130,000 organisations worldwide, including many in Fortune Global 500 enterprises. Birst is the global leader in Cloud Business Intelligence (BI) and Analytics for the Enterprise. Today, Birst serves thousands of organisations across the globe by making trusted enterprise business data a part of everyday operational decision making.